When the concept of Bee My Box was born, the basic goal was to create a pioneering beehive. Since then, the Bee My Box team has unveiled the unique branded beehive in the market that perfectly respects the needs of every beekeeper. Bee My Box is the natural evolution of the family business Laitsos Machinery, which since 1979 has been active in the sales of woodworking machinery & wood. Having a long history and family tradition in woodworking, the concept of the Bee my Box has been designed to meet the most demanding needs of any amateur or professional beekeeper. Our excellent knowledge of wood properties combined with our personal love for traditional beekeeping has been two major incentives behind the Bee my Box wooden beehive. But the most important incentive for us was to listen to the need of beekeepers for a beehive that would make the difference quality for the production of every amateur or professional beekeeper. We know how important the benefits of the authentic wood for the beekeeping are. Honey is a pure natural product with significant beneficial effects on human organism and nature. For the same reasons, beekeeping has been established since ancient times to date as one of the most useful human activities for professional or domestic use. Such a traditional activity as beekeeping is closely related to nature at all levels. Bees need natural conditions to deliver a quality result. Wooden beehives play a key role in this. 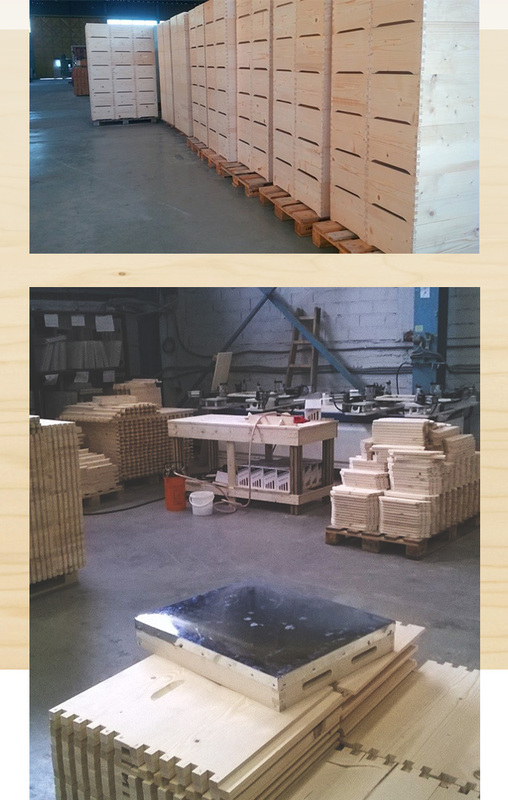 For this reason, in Bee my Box, we have invested the special know-how we have in wood processing on the manufacture of a high-quality wooden beehive: harshness, lasting quality & ease of maintenance for every professional or amateur beekeeper. We are proud to state that the Bee my Box wooden beehive is the ultimate result of a planned construction that aims to develop into the foundation of every new modern beekeeping production. The headquarters of Bee my Box is located at 23rd Km. EO Thessaloniki - Nea Moudania (passage). Visit our site or contact us to discuss the needs of your beekeeping activities.